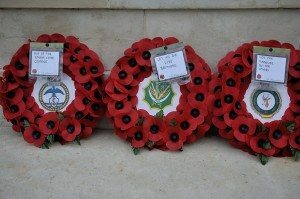 The South African Legion – United Kingdom branch conducted a parade at the Portsmouth Naval Memorial located in Southsea Portsmouth on the 24th February 2013. The South African Legion came together to remember all men lost at sea and to honour brave South Africans lost at sea in the month of February. Of significance for the South African Armed Forces in this month is the loss of the SS Mendi during WW1 and then the loss of SAS President Kruger some decades later. Aside from the shared commonality of February, both instances where also the result of collisions with ‘friendly’ vessels, both instances where the result of ‘human error’ and in both instances brave men where lost to frigid waters in terrifying circumstances. The story of the SS Mendi , a troopship, started on a cold, foggy morning, around 05:00 on 21 February 1917, in the English Channel, near zero visibility was the recipe for a shipping disaster which caused barely a blip amid the chaos and carnage of the First World War, but has had consequences which have reverberated down the years in South Africa. The SS Mendi, steaming rather slowly through the murky seas, was displaying the normal lights, and was, in addition, blowing her whistle at regular intervals, as required by the rules of shipping in foggy weather. The Darro, in contrast, was at full speed, displaying the normal lights but not making any audible warning signal. On spotting the Darro the SS Mendi immediately sounded it’s whistle and tried to “hard to starboard.” It was too little and too late. The bow of the Darro tore through the hull of the Mendi and it rapidly sank with the staggering loss of 646 men. The majority of men aboard the Mendi where from the 5th Battalion South Africa Native Labour Corps as well as the battalions support units. They had volunteered to serve their country and the Empire, their task was a non-combatant one of engineering – digging trenches, building roads and bridges. Helping Great Britain in her war efforts on the western front. To understand the terror that must have gripped these men in their final moments when this collision happened, remember that most of them had never been on a ship before boarding this one, most of them had never even seen the sea. All of the aspects of travelling by sea would have been totally foreign to them, they were thousands of miles from kin and home, from anything they would have been familiar with. In spite of this the men seemed, by all accounts, to have behaved with remarkable fortitude and sanguinity. There was no evidence of panic. The reference to weapons was to the fact that the South African Government had agreed to send black men to assist the Allied forces as labourers, but, due to racial policies of the time, they insisted they could not be given weapons. After this stirring speech the men left on the Mendi, according to the legend which has grown up around these events, took off their boots, and did a “death dance” on the tilting deck of the sinking ship. There were many more individual acts of bravery and selflessness in those terrifying early morning hours in the freezing water. At the announcement of the loss of the Mendi all the members of the House stood as a mark of respect. The second tragedy also reverberates down history, as it has been said that The South African Navy has never really recovered from it. 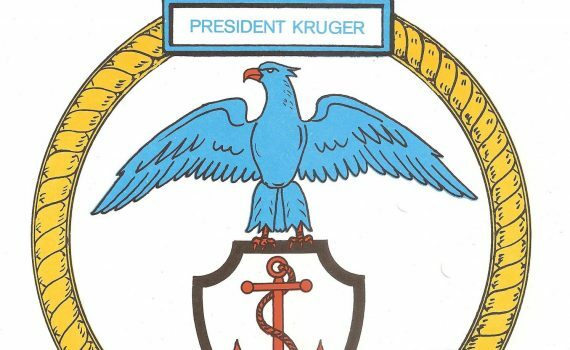 On 18 February 1982, four vessels – the pride of the South African navy where conducting a naval exercise – the SAS President Kruger was conducting a complex exercise with the submarine SAS Emily Hobhouse, another frigate, the SAS President Pretorius and the replenishment ship SAS Tafelberg. The high-intensity exercises had progressed over several days, with the SAS Emily Hobhouse pretending to attack the SAS Tafelberg, and the two frigates also conducting submarine seek and destroy exercises in zig zag pattens. At approximately 4 am, the whole formation had to change direction by 154 degrees, a near complete reversal in direction. During the maneuver and error was made in the rate and degree of turn, radar contact was also lost in clutter and the SAS Tafelberg accidentally collided with the SAS President Kruger. The damage was catastrophic damage. The SAS Tafelberg, being a tanker, was 18,980 tons with 1 to 4 inch thick bow steel. The PK was a mere 2144 tons, with 4mm thick steel. Last minute actions where shouted out to avoid collision, but like the Mendi – too little – too late. The SAS Tafelberg was severally damaged in the impact, but more tragically SAS President Kruger sank as a result of the damage it sustained – it sank 78 nautical miles south west of Cape Point with the loss of 16 lives. Like the SS Mendi this took place in freezing waters, and – like the Mendi – the terror would have been no different to the men of the PK facing death. In the United Kingdom, the South African Legion was supported on this day by the Royal Navy Association, the Fleet Air Arm Association and the Royal British Legion, as in February they also remember the sea, and the lives of all fellow brothers in arms who have been lost to it. Great Britain and her Commonwealth, through two world wars and subsequent wars at sea such as the Falklands has lost thousands of souls in the service of their country. So, in February we remember the sea, and the men lost to it.